Though very popular and useful, this training tool is poorly understood. Can Chain-Resistance Training improve performance? Although chain-resistance training has become very popular, there is still a significant lack in the theoretical understanding of this training modality. Having said that, it appears that accommodating loads of >20% of 1RM may be sufficient for improving force production in trained, but not untrained athletes and that this is accompanied with reduced barbell velocities. The variable resistance provided by the chains may limit their ability to improve force production in untrained athletes, suggesting that a strength/stability pre-requisite may be required to identify their efficacy for a particular athlete. To add to this, because there is uncertainty with how much additional load is applied to the barbell by the chains during an exercise, not only is selecting appropriate chains a difficult task but monitoring the load becomes even more complicated. As a result, Table 1 provides a simple ‘guide’ to the mass-displacement relationships of a variety of chains and is also downloadable and printable for use in gym facilities. 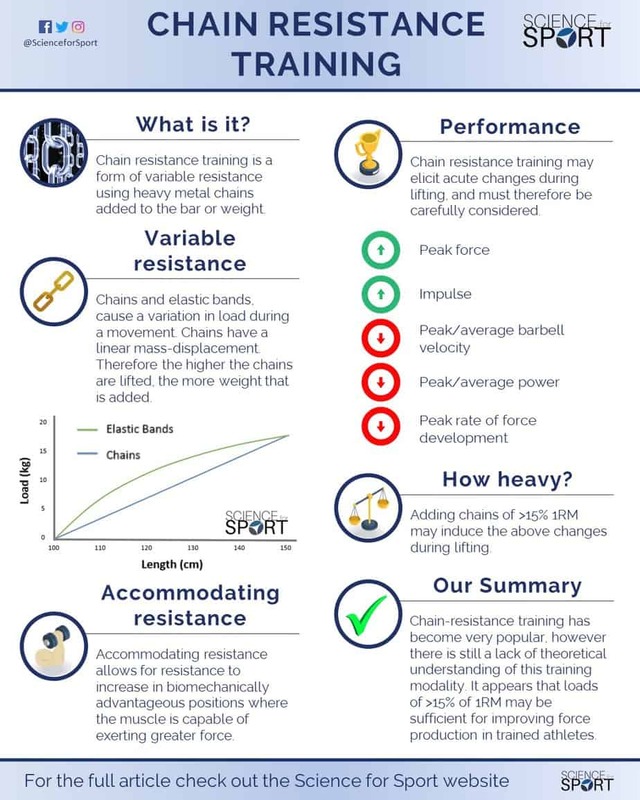 When an exercise is supplemented with either chains or elastic bands, they cause a ‘variation’ in the load being lifted throughout the range of movement – hence the name ‘variable resistance training’. Chains have a linear mass-displacement (i.e. length-load) relationship, simply meaning the higher the chains are lifted, the more weight that is added (Figure 1). The term “accommodating resistance” is also commonly used when discussing chain-resistance training. Accommodating resistance allows for the resistance to increase in the biomechanical advantageous positions as the muscle is capable of exerting a greater force (2). In other words, the weight of the chains ‘accommodates’ (i.e. gets heavier or lighter) alongside the athlete’s ability to produce force – when they are in either a stronger position or a weaker one. 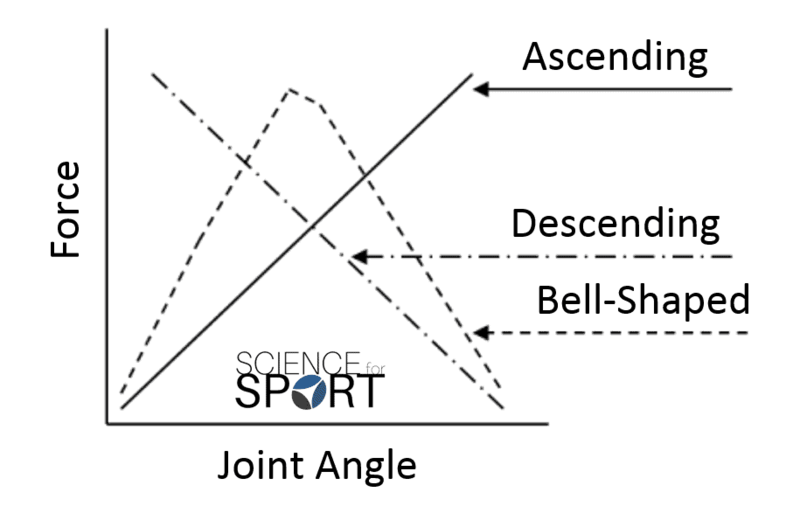 As the athlete moves up toward the end position of an exercise, they are also typically moving up the ascending strength curve (Figure 2). As they move up, the weight gets heavier, and vice versa. For example, using chains during the bench press or squat provides an increasing load during the concentric phase of the lift to ‘accommodate’ the ascending strength curve (Figure 2) (2-4). 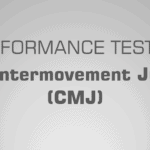 This means that as they move into more biomechanically advantageous positions (i.e. stronger positions), they are also required to produce more force. The primary reason for chain-resistance training is to address the perceived issue that barbell deceleration occurs and force production decreases in the latter stages of typical strength training exercises (e.g. back squat, bench press, and the deadlift etc) (5). In other words, it is believed that towards the top portion of a bench press, the athlete reduces their force production, and is actually required to decelerate the barbell (i.e. slow the barbell velocity) to stay in control of the movement – unlike a bench throw where they would throw/release the barbell. Thus, it is believed that the accommodating load of the chains will retain, or even increase, force production and barbell acceleration (i.e. reducing the deceleration) in the latter stages of the exercise (5-7). Part of this theory is supported by Swinton et al. (5), who reported an increase in peak force and impulse during the deadlift with chains. 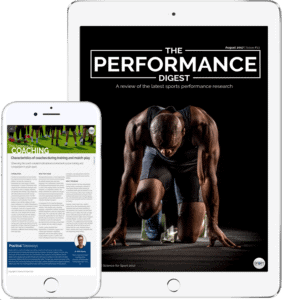 However, the authors also observed a decrease in peak barbell velocity, average velocity, peak power, average power, and peak rate of force development. This suggests that whilst chain-resistance training may be useful for maximising peak force and impulse in the latter stages of the exercise, it may not be so effective for maintaining or improving barbell velocity. These findings are an important contribution to the understanding of chain-resistance training. It has been previously suggested that in order to improve force production in the latter stages of an exercise, an accommodating resistance of >15% of the athlete’s 1-repetition maximum (1RM) is required (4). In other words, it is suggested the accommodated weight added by the chains must be >15% of the athlete’s 1RM for that particular exercise. The two loads used by Swinton et al., (5) in their study were equivalent to 20 and 40% of the athlete’s 1RM deadlift. This also corresponds with previous research which observed no increase in force production when using accommodating loads of 5% (8, 9) and 8% of 1RM in various other exercises (10). In contrast, one recent study found no increase in force production when using an accommodating load of 20% of deadlift 1RM (2). However, this recent study only used recreationally-trained participants in comparison to Swinton et al., (5) who used well-trained athletes (powerlifters and rugby union players). Thus, similarly to elastic-resistance training, perhaps there is a strength/stability pre-requisite for training with chains (11). This would simply suggest that weak/inexperienced/untrained athletes may not experience the increased force production benefits of chain-resistance training as they may not be capable of stabilising the variable resistance when using heavy loads. Furthermore, anecdotal claims have suggested that training with chains during Olympic Weightlifting exercises may improve motor control and balance (9). However, the current body of research dismisses these claims and shows no improvement in Olympic Weightlifting performance as a result of training with chains (8, 9). 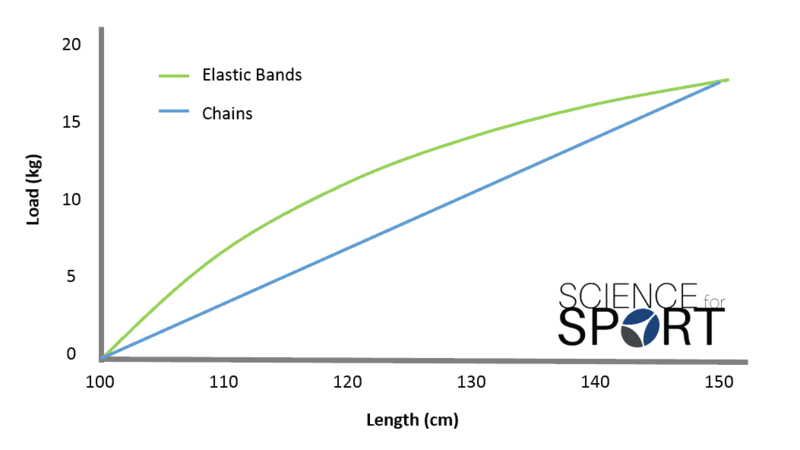 A common issue when selecting and using chains is the uncertainty in how much additional load the chains provide during an exercise – otherwise known as the mass-displacement relationship. This relationship purely describes how much mass (i.e. load) is provided when the chains are lifted to a particular height off the ground. Luckily, one study attempted to measure this and provided some degree of clarity to this issue (1). Table 1 provides a clear representation of the amount of weight added when the chains are lifted to a particular height. If the desired accommodated weight added to the back squat is to represent ≥20% of the athlete’s 1RM, then this weight should correspond with the chain which provides this load at the end position of the athlete’s lift. For example, if the athlete’s end height of the back squat is 150cm, then the appropriate chain which provides ≥20% of 1RM in this position should be selected. Whilst this table provides a great degree of clarity, it is important to note that not every chain in the World will produce the exact same mass-displacement relationship. This means that the actual load may, and most likely will, vary between each chain. Still, this table provides a higher degree of clarity than any of the guesswork which is currently present within the industry. As a consequence, a variation of this table can be printed and placed on the gym wall as a guide to the mass-displacement relationship of single-linked chains (see above). Furthermore, it is understood that this table does not provide a comprehensive guide too many chain thicknesses, and is limited in the displacement range (100-150cm). However, this is, unfortunately, the best available information within the research. It is therefore advised that equipment owners request all of this information from the manufacturers. The degree of oscillations and its impact on stabilisation and force production. Changes in force production and barbell velocity using loads ≥20% of 1RM during various exercises. Mass-displacement relationships of various chains across a wider range of displacements. Chains may increase force production in the latter stages of an exercise when using loads of ≥20% of 1RM. They also appear to reduce barbell velocity in the latter stages of an exercise. 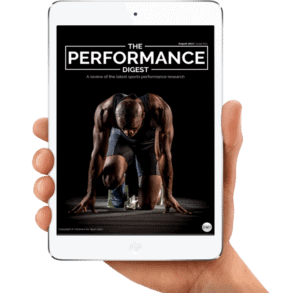 Weak/inexperienced/untrained athletes may not experience an increase in force production. There may be a pre-requisite level of strength/stability required before an athlete can experience the increased force production benefits of chain-resistance training – this may be why weak/inexperienced/untrained athletes may not experience any improvements. Chain-resistance training does not improve Olympic Weighting performance. Table 1 is printable and can be used in gyms as a practical guide to the mass-displacement relationships for a variety of single-linked chains. Strength and conditioning entails many, many topics. By choosing to simply read up on Chain-Resistance Training and ignore the sea of other crucial S&C topics, you run the risk of being detrimental to your athlete’s success and not realising your full potential. 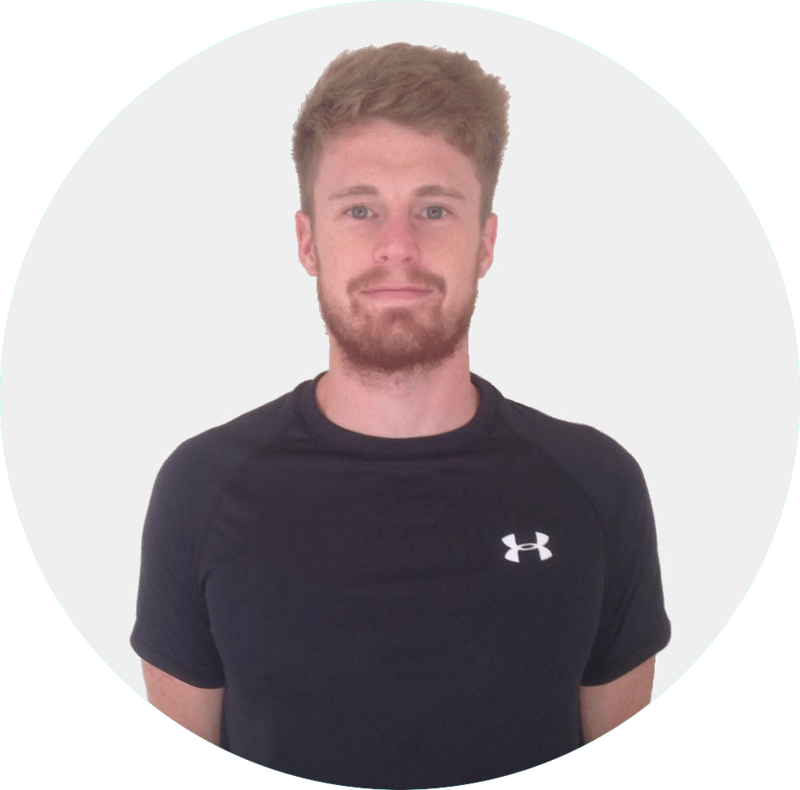 To make you an expert coach and make your life as easy as possible, we highly suggest you now check out this article on Elastic-Resistance Training. Simmons, LP. Bands and chains. Powerlifting USA 22: 26–27, 1999.